Julie is a law graduate who qualified with Price Waterhouse in 1994. Julie joined Smith & Williamson in 1997 and became a partner in 2001. With Mike Stevenson, Julie set up Middleton Partners offices in Salisbury and Southampton, both of which are now part of Begbies Traynor. 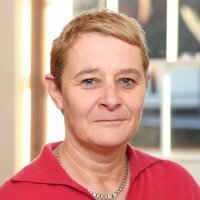 Julie is a member of the Insolvency Practitioners Association and is a Fellow of The Association of Business Recovery Professionals. Julie deals with all aspects of Corporate Recovery and turnaround work and takes all form of personal insolvency appointments.